"Maybe greatness isn't about being immortal, or glorious, or popular- it's about choosing to fight for the greater good of the world, even when the world's turned its back on you." Whether it be country, pop, rap, or Broadway, one thing almost everyone can agree on is that music is amazing. The way the notes are written, the way the lyrics ar created, how the songs get stuck in our heads just enough for us to know the song by heart... all these things are just part of the reason music is such a big part of our everyday lives. While all kinds of music exist in the world, different types of music focus on certain details about life, and they convery different emotions as well. Country music is often stereotyped to be for hillbillies and all about trucks, but in reality, most country songs are love songs. In fact, recent country albums have proven to be more pop than country-sounding. When people listen to country music, the theme is often a little lighter than pop, due to the fact there are less songs about drugs. Country songs may sometimes make someone feel nostalgic for their hometowns, as this genre sheds light on the artist or writer's past experience. Country tells more of a story, so the lyrics are meant to be deciphered. Pop, however, usually focuses on a small, one-shot story. Pop music has certainly changed over the years. It's been trashy and violent, but it's also been beautiful and heartwarming. This genre tends to have more fans, but the songs seem to cover less of a span of time than country music. Pop music someties circulates around breakups, like country music, but the real difference is that pop music takes to it at a more pessimistic outlook. Pop music is better for a jam-session, as it's more common and popular. While pop music has had its ups and downs, it has certainly been proven to evolve over the years. Rap music- oh, don't get me started on rap. Rap and hip-hop are not two of my favorite genres- not even close. Though, I do have to say, when I hear a rap song I like, I love being able to sing it. Rap songs seem to give off confidence vibes, as if it's like a pre-game show, or the opening act. I believe rapping takes just as much work as any other genre, but it can often be repetitive and trashy. We could do without some of the swears, and I believe that rap tells even less of a story than pop and country do. It's more of a rant- and I mean this in a good way- because it seems like it's getting less in-depth into the story, and more focusing on the rhythm. Hip hop varies, and tells a teensy bit more than rap, but still, they gove less detail and paint less of a picture in your head. It's often like dreaming in black and white, or trying to read between the lines. Even so, many people enjoy the genres, therefore it has a poistive effect on the many fans. Broadway and stage music paints a vivid picture in your head. As soon as you hear the first beat, you can tell whether this is an upbeat song or a sad one. 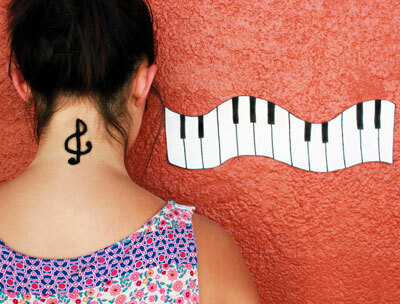 Because musicals have genres of music inside their songs, they can apply to all types of musical-lovers. FOr example, Lin-Manuel Miranda's Hamilton is a hip hop musical, while Phantom of the Opera is a completely different style. These songs can feel like your own memories to you, possibly because musicals tell a long-lasting tale. As you may be able to see, music genres affect our lives in the most critical ways. Without music, certain emotions would probably be proven to be less frequent due to the lack of storytelling and wonder that music bestows. Though different types of music focus on certain details about life, all kinds of music can reflect in our emotion.